Some data sources do not allow Funnel to collect data by any combination of dimensions. There may be only a certain number of pre-defined "reports" available in the API, or there may be limitations enforced in how dimensions may be combined. One example of this is the Facebook API, which allows looking at numbers by Age or by Region, but not by age and region in the same table. These limitations are reflected in the options when you connect the source to Funnel. Again using Facebook as an example, it may look like this. 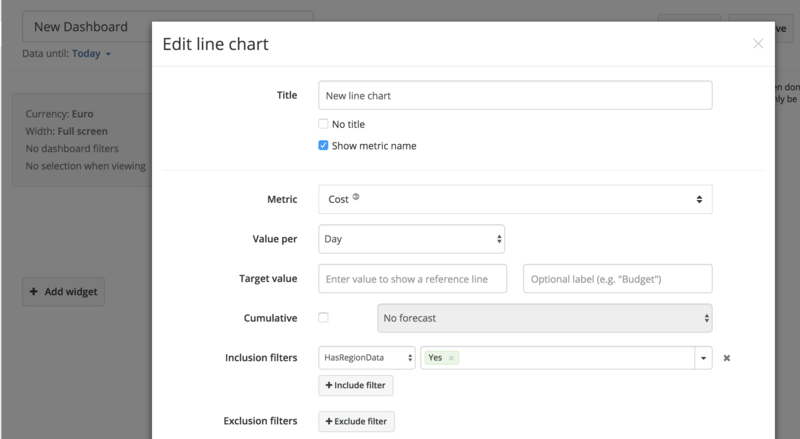 While Funnel will never be able to offer data granularity that does not exist at the source, you may create multiple connections to the same data, using different configurations. 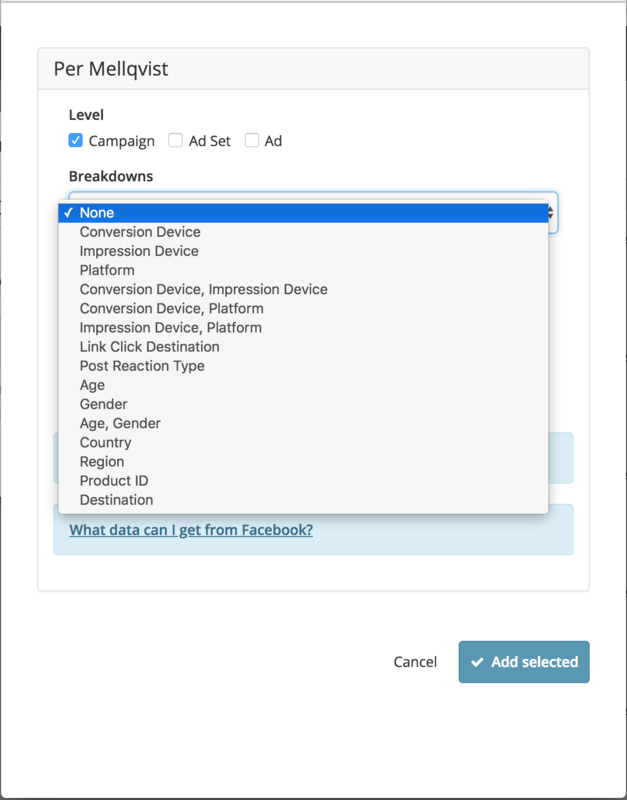 E.g., connect to the same Facebook Ad Account first with an Age breakdown, and then again with a Region breakdown. The current default in Funnel is to always aggregate data for all sources, unless explicitly told not to do so. This means you will get duplicate numbers if you connect the same source twice to the same Funnel Account, without explicitly filtering the data when you use it. The following are some ways to work with multiple connections to the same source, with different dimensions/breakdowns. 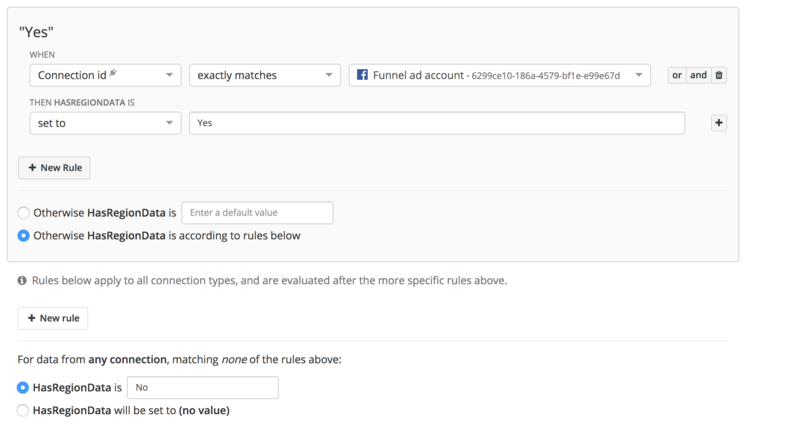 By separating the different views of the data into different Funnel Accounts you will not get duplicate numbers. After creating a dimension like this all your Dashboards must have a filter on this, set to either "Yes" or "No" as a top-level "Dashboard filter"
Similarly you will have to filter on this dimension to get correct data in the Data Explorer. For exports to Data Warehouses, Google Sheets , create the Dimension as above and make sure it is part of the exported columns. You will then have to take the value of this dimension into account when filtering or running your queries against the data, or create filtered Views in your Data Warehouse.